At Lindstrom Plumbing you can expect our plumbers to show up on-time, be courteous and clean up before they leave your home. We provide fast, professional plumbing and emergency services to our South Florida neighbors. No matter what your plumbing needs are, we offer the services and products to meet them. 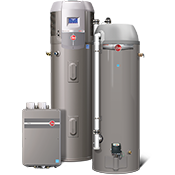 Whether it’s fixing that annoying leak, installing a new water heater, or unclogging your sink, we think you and your home deserve the best . . . Lindstrom Plumbing. 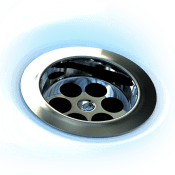 As your local drain clearing experts we’ll give you the peace of mind knowing that once the clog has been located, whether in the sink, bathtub or shower, we’ll have the tools on the job to fix it. 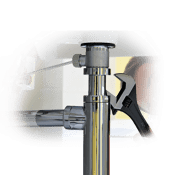 At Lindstrom Plumbing, we can eliminate any stoppage in your plumbing system. At Lindstrom we are proud to offer Everpure® Water Filtration Systems, providing fresh water on-demand in your South Florida home. 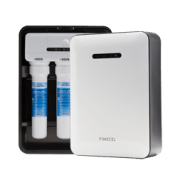 This system acts as a final contaminant barrier, purifying your drinking water to premium quality so that it’s sparkling and free of unwanted tastes and odors, for better tasting water. More cost-effective than bottled water!